Frog Detective is the second best detective in the world, and despite his ranking behind Lobster Cop, he’s gotta solve the mystery of the haunted island. The game’s about that. The Haunted Island, a Frog Detective Game is an odd creature. In terms of genre, I’d call it a “conversational adventure,” sitting somewhere between the “walking simulator” and the traditional adventure game. Ultimately, you’re acting as a fella called Frog Detective, and you’re going to a haunted island to figure out what’s so damn haunted about it. And it’s funny. It’s really, really funny. The humor is absolutely bone dry, and there’s no familiar setups followed by punchlines. Instead, it works a little bit like a Wes Anderson film. Each character you meet is a complete distillation of a type. Each of those types has their own way that they want to frame the world, and Frog Detective is trying to get to the bottom of the mystery of the island. That means that a conversation with the ghost scientist MysteryMonkey, which revolves around comment threads, is going to be much different than the conversation with Fresh X, the bro scientist crocodile who just wants to lounge and catch some rays. While the actual gameplay has you going around picking up the “standard ingredients” for explosives (wool, gold, pasta, and toothpaste) so that you can blow open a cave and see if a ghost is inside, the real joy of it is in these conversation trees and their silo’d jokes. I mostly find comedy in games to be unbearable. From memeified Borderlands quips to warmed-over 90s jokes in the South Park games to ragdoll-physics-as-humor, the kinds of comedy that video games go for don’t often do much for me. That isn’t to say that those jokes don’t work or that those games don’t provide joy for other people. It’s just not what I am into. And so it is so great to play through something like The Haunted Island in which the humor is so singular and odd that it feels like it was built just for me. Lead developer Grace Bruxner, whose games I have written about a couple times already, makes a kind of comedy game that just doesn’t exist anywhere else. And I’m thankful for that. 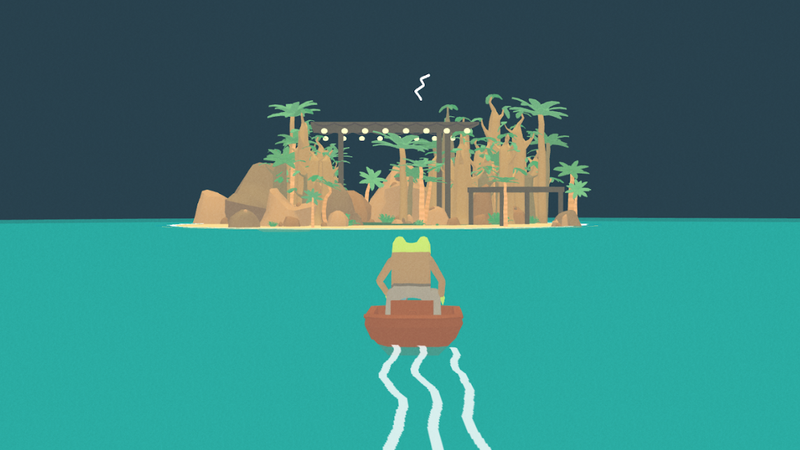 The Haunted Island, a Frog Detective Game is a game about talking and solving mysteries. It’s fun, and I like it. I want more silly games about talking and solving mysteries in my life.